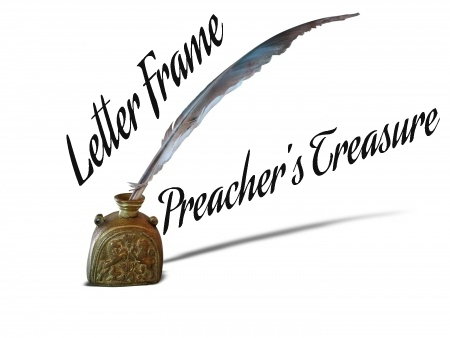 The “letter-frame” is a jargon-laden way of referring to the opening and closing of the New Testament epistles. I’d like to ponder these sections for a couple of reasons. Firstly, because they are fully inspired text. The words are worth just as much as the more familiar content of the epistles. Secondly, because they are so often ignored. Inspired and ignored. Two words that should not be introduced! Sender, to the recipients, greetings, I thank God . . .
2. Notice when the pattern is changed. On all but two occasions Paul is careful to use his opening prayer graciously and significantly. But in Titus he presses into the heart of the matter, perhaps because the epistle is a brief reminder to close friend Titus, rather than a fully developed epistle to less connected friends? And then there is Galatians. Hold on tight! Instead of thanking God on every remembrance of them, Paul is astonished that they are deserting the gospel. They aren’t going to another religion, or giving up on being Christians, or going all worldly. No, they are taking onboard a law-heavy entrance and development plan that is totally against the gospel he preached to them. Result? They are turning from God by their “greater” commitment to godliness (in the flesh). Thanks for these thoughts. Will you be giving some insights next on the “closing” segments of an epistle? I’ll be preaching next week and my text is the end of Colossians. I’m not entirely sure yet how I’ll be framing/teaching the closing greetings that Paul has. I look forward to reading your thoughts. Thanks Brian – yes, I will look at closings next time and then probe possibilities more in the subsequent posts!